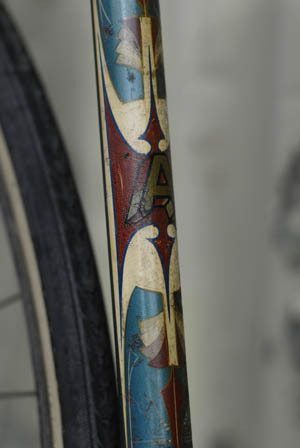 Kevin Fallon's old Arrow pista race bike glistened in the sun as I focused my lens on it's faded azure paint last week. 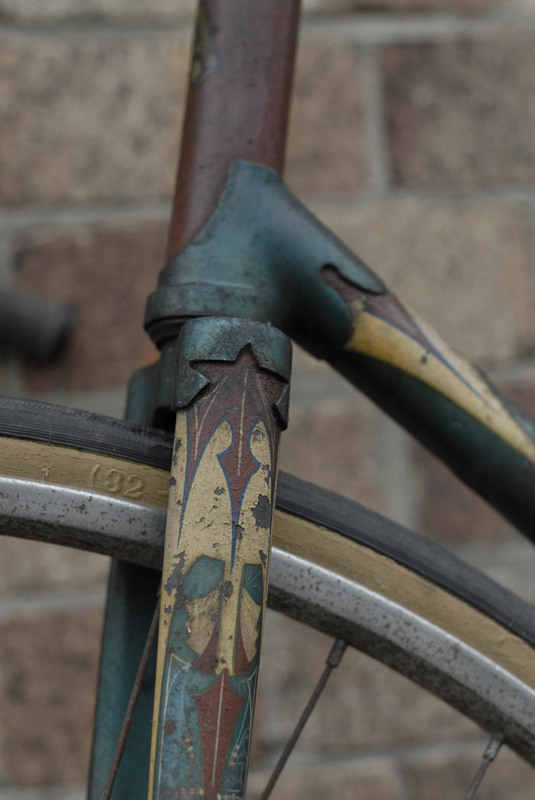 At that moment it occurred to me that this bike was special, the way the once vivid paint scheme was painstakingly and deliberately applied. The Arrow's brilliant colour palette, traditional yet experimental includes a deep indian red with rich cream, these two colours draw together the sumptuous hues of a metallic azure and green combination. 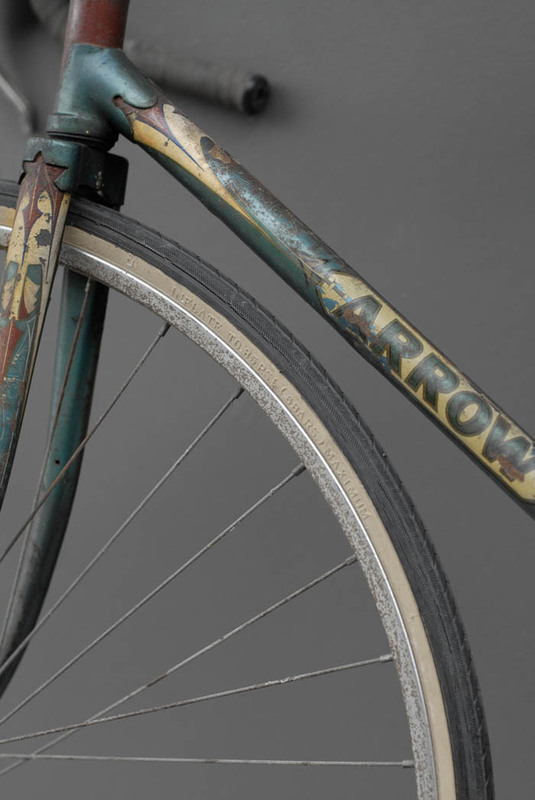 The craft and skill which went into creating the Arrow's rich colour coat, reveals a bike finished with overlaid hand painted lettering and flowing detailed patterns. Dimmed by eight decades of exposure, the original character of the Arrow is so strong, it refuses to let you go without paying the Arrow Pista the attention it rightfully deserves. 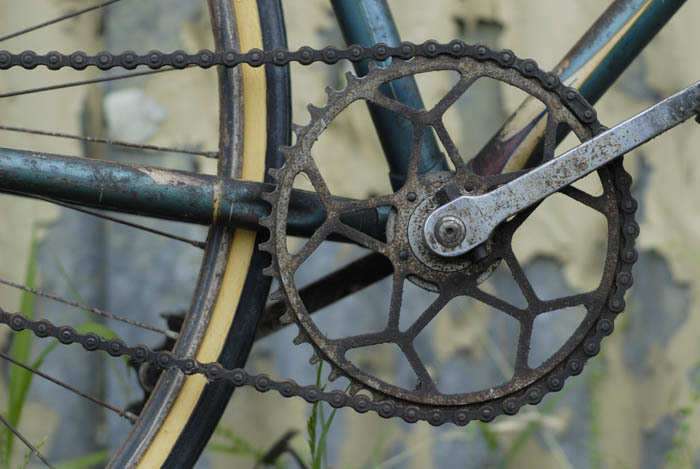 A few months ago local bike collector and general bike enthusiast Michael Glancy was invited to an interview on the ABC 612 radio, Squeaky Wheel show. 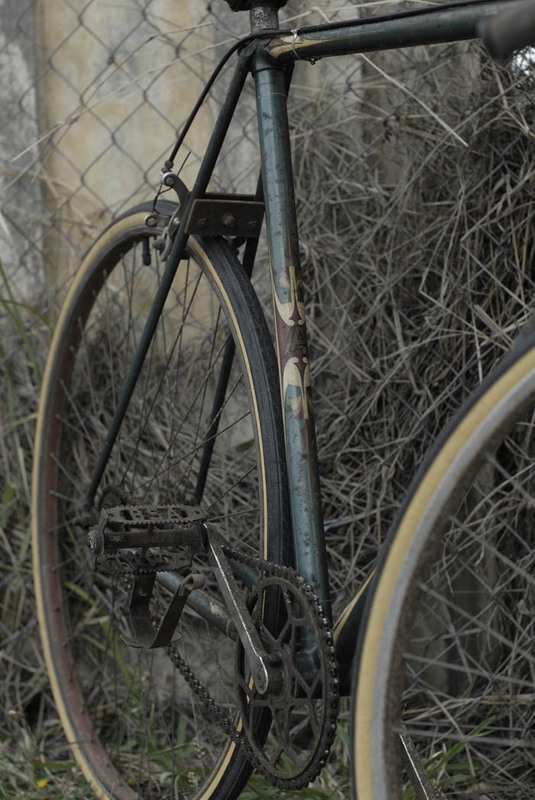 Mike spoke about his passion for old bikes, then something remarkable happened. After the show Ms. Anne Broadhurst, Kevin Fallon's partner, called Michael and asked him if he wanted Kevin's old Arrow race bike. Kevin had raced back in the 1930's when he'd been selected to compete at the Empire Games prior to World War II. Kevin had passed away recently, leaving the Arrow, together with tons of memorabilia. 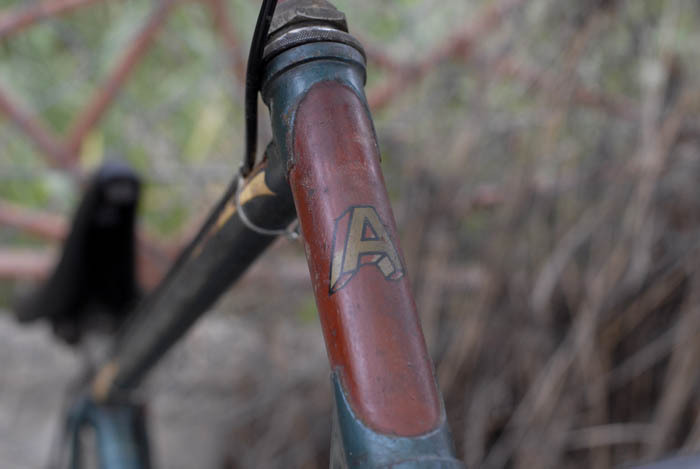 Kevin's Arrow is your classic Aussie all round race bike. It has a flip flop hub, which came standard with some Arrow's. You could train on it all week and race track or road, choose either a freewheel or fixed gear. 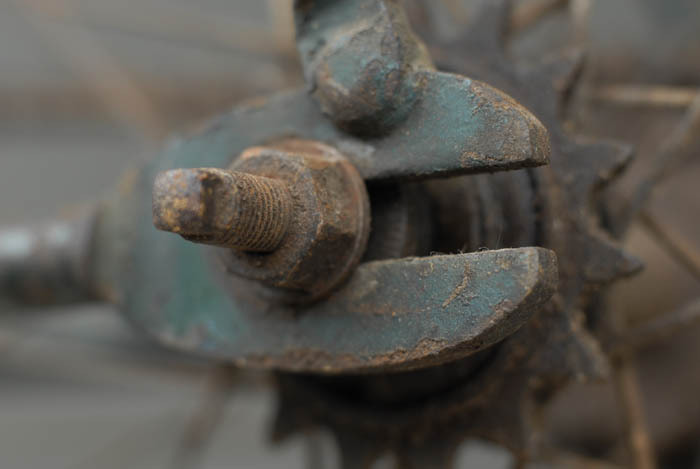 At the time when this bike was popular in the 1930's, if you wanted gears then the British Cyclo 3 or 4 speed gear shift could be fitted to your road bike, that's if you had a road bike. Judging by the photo of Kevin and this bike, plus the fact that it's a track bike, it doesn't look like Kevin was a fan of multiple gears. He also had a couple of hardened veteran racers as mentors. 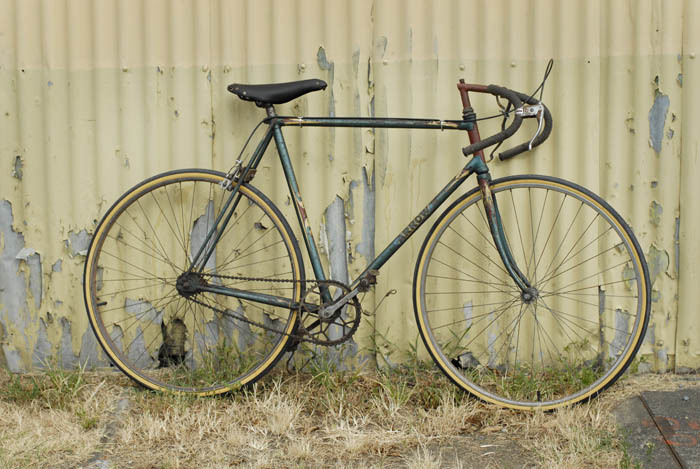 Even when I first started racing in the 1970's, single speed bikes were still de rigeur, you could train on them all week, then front up at the track and race on the same bike you trained on. So I did a bit of research and discovered that the Cycle Agents in Brisbane for Arrow Cycles were Biddle and Shaw. It turned out that Kevin Fallon had married the daughter of George Biddle in 1947. "Miss Ivy Biddle and Mr Kevin Fallon, state cycling champion (both of Annerley) will be married tomorrow in the Mary Immaculate Church Ipswich Road." Take a look at the photo of Kevin with his race bike and you can see it's not the same one Michael was given, (image set below) or at least not the same paint scheme. The image though is a black and white original that's been hand painted. The bike looks right so the colour scheme is probably the studio artist's impression of the real deal. Michael and myself were keen to find out about Arrow bicycles and Kevin's Arrow bike. The story goes back to Birmingham in England. One company which started trading in Perth claims to be the first ever manufacturer of "bicycles in the colony". The company was founded by Messrs. Burly and Endean, trading as Diamond Cycle and Tyre works as well as Arrow Cycle Works. In May 1900 when H. Millington won an eight hour race at Boulder, Burly and Endean declared that " … is the third wheel race he has won on his Arrow cycle. These machines are built by Messrs. Burly and Endean, and can be seen at their showrooms." Earlier in 1898 Armstrong's Cycle Agency of Hay Street Perth and then in 1899, Mr Mullins of Pirie Street in Perth were importing the "Flying Arrow Machine" from Birmingham in England. Arrow Cycle Works in Perth traded right up to the 1950's whereas the concept of the imported Flying Arrow lasted only a couple of years, disappearing out of the records about 1901. At this point it's worth considering the difference between the imported "Flying Arrow" of Birmingham, and the other cycle company "Arrow Cycle Works" which were dedicated to manufacturing locally, using British sourced parts. The Arrow Cycle Co., which has had 25 years (probably 35 years, as they began trading in the late 1890's) experience as cycle manufacturers, has-by virtue of the thoroughness in the cardinal principle of it's manufacturing methods, namely by using British parts of the finest quality; employing only competent mechanics; and by giving a ten year guarantee - won a reputation un-excelled in the cycle trade of Western Australia. … and is procurable on easy terms from the manufacturers. 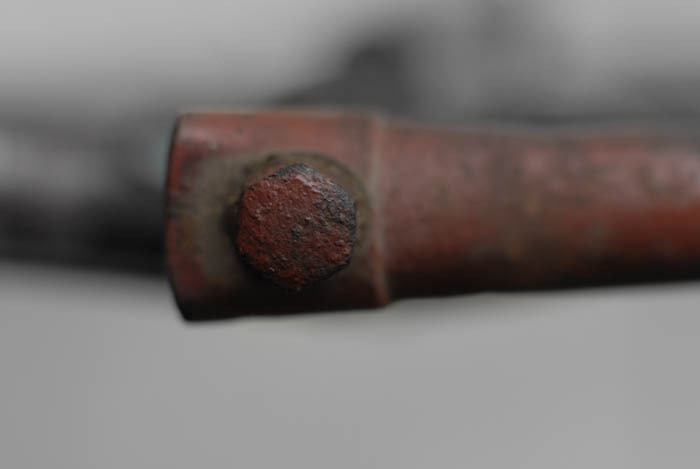 In 1934 Arrow Cycle Works described their Super Cycle, which gives us clues to the type of materials used in the construction of Kevin's track machine. Reynolds tubing and B.S.A parts were used. Kevin's bike still has some of the same components. 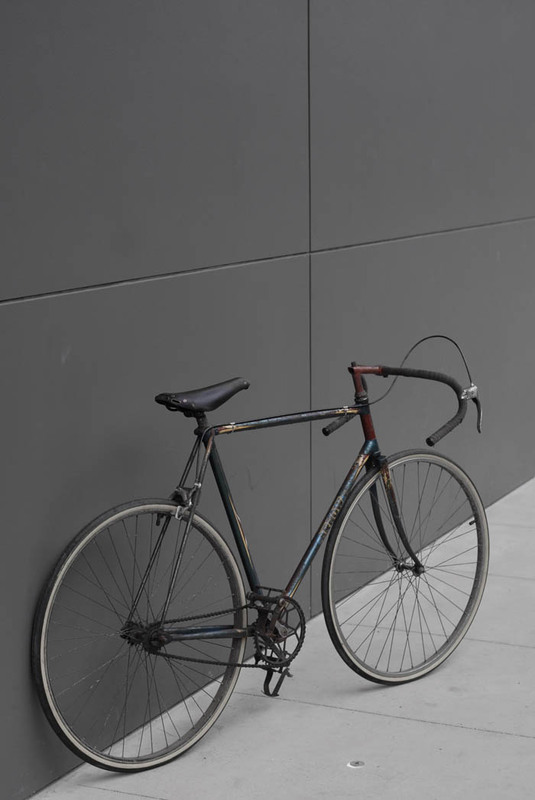 The Arrow Super Cycle includes Reynolds a quality tubing, braised on seat stays, pump pegs and number plate holder. Best quality rims, English tyres, light weight durable double sided hubs, B.S.A Pedals, toe clips and straps. Williams first quality chain wheel, Reynolds chain, Brooks saddle, Kromo handles. Finished any combination of colours, stove enameled. Obviously Kevin Fallon's association with George and Bob of Biddle and Shaw was close. Both George and Bob were passionate racers and agents for the famous Arrow Cycles, plus Kevin had married into the Biddle family. During the 1930's Arrow Cycles produced a pista model which they called the B.S.A Track Racing Model, which sold for £17 10. It's this model that closely resembles the one now in Michael's hands. 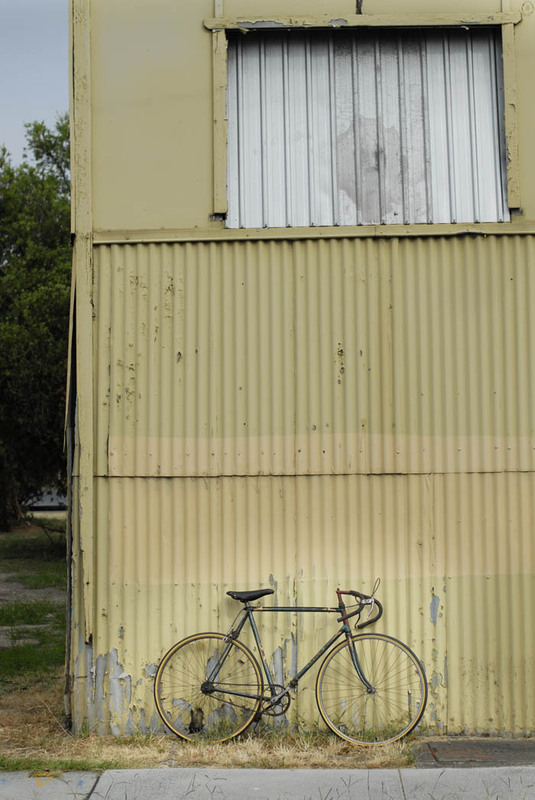 Back in the early 1930's a couple of Brisbane's top racing men set up a cycle agency on the corner of Stanley and Inkerman streets South Brisbane, they called the business Biddle and Shaw, Cycle Agents. Inkerman Street has since been obliterated by the building of the South East Freeway overpass near Stanley Street. Over the years the intersection of Inkerman and Stanley provided more action than cycle trading. Once a truck came along Stanley Street out of control, sliding on it's side and wiping out Biddle and Shaw's display windows. Another time in the early fifties, three teenage boys thought it would be a brilliant idea to wait for the loud noise of a passing tram then smash a window so they could gain access and steal some fishing tackle, air rifle pellets and some bike parts from Biddle and Shaw. The boys were on the right track, hunting, fishing and bike riding, just going the wrong way about it. For the most part though, Biddle and Shaw's passion lay within the arena of bicycle racing. During the 1920's George Biddle had owned a bike shop at Ipswich called the "Rose Cycle", he sold out of that shop in 1931. George was forced to stop racing in 1932 because he'd moved to Brisbane to open Biddle and Shaw Cycle Agency. "With the refusal of the Q.A.C.U. 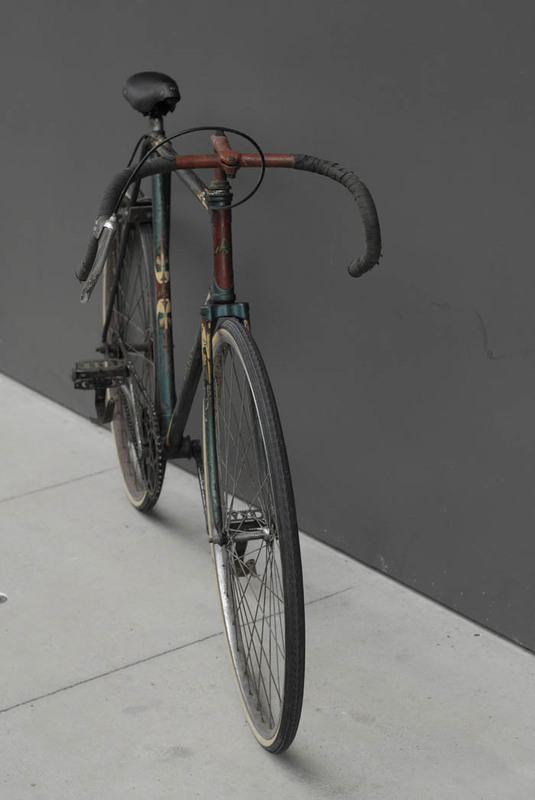 (Queensland Amateur Cyclist's Union) to allow George Biddle, Ipswich's only life member, and one of the district's best known cyclists, to race in Ipswich on account of his residing in Brisbane, George states he is turning the handles up for good." About the same time that George Biddle was forced to hang up his bike for good he showed his true character at an "all-day cycle race"
Twenty years ago, at the age of 12, George Biddle won his first race in Ipswich and during his long and successful sporting career his typical sporting qualities have been admired by all. To avoid disappointing Moorecroft, whose team mate was unable to race, Biddle unprepared and un-trained decided to face the starter in the race. Although his team finished last in the actual placings, Biddle himself won a sprint near the close of the race. The excitement is now over, but to officials and riders George Biddle will always be the hero of the Ipswich all-day cycle race. In 1937 George Biddle was a state cycling coach and Bob Shaw was touted as one of the state's previous best. "Bob Shaw, always rather a hefty fellow, shows little more avoirdupois than in his racing days, when he was the terror of the State's best, and is young enough to stage a come-back if he were so disposed. If he did so he could show quite a few present-day stars a few points in race tactics…. With George Biddle, one of this State's most astute cycling coaches, he forms a capable combination to conduct a cycle business." 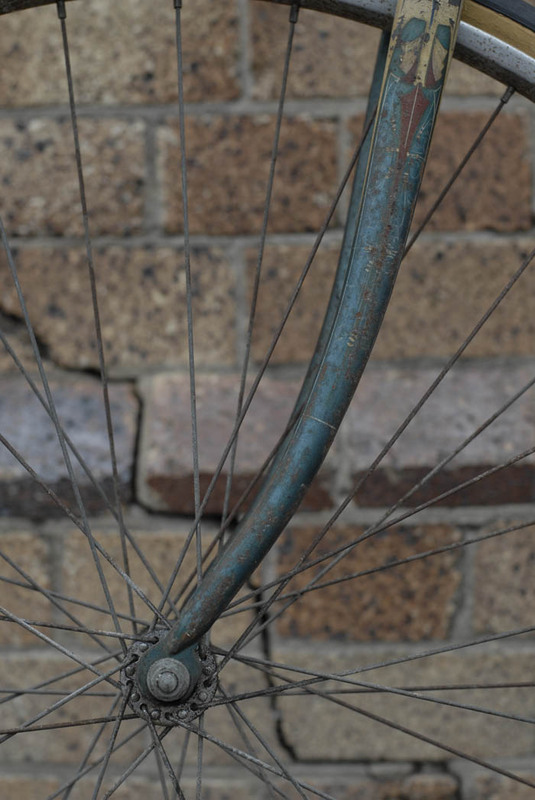 While Bob and George were trading, they sold bikes under the name of Rose Cycle, Biddle and Shaw, the Bon Accord and at times there are references to the company trading in South Brisbane as the Arrow Cycle Works. With a long history as racers, bike agents and in coaching, you can see how a young Kevin Fallon could become integrated into the Arrow story. Kevin had access to the local Arrow agents who were obviously passionate racers and advocates of the Arrow brand. Kevin married into the family and was associated with two of the toughest racing characters in the local scene. Michael you now have a special role as custodian of a machine which stayed with a racing man until his last day, look after it well. 1898 DECEMBER Armstrong Cycle Agency of Hay Street Perth Announce "Another bicycle handled by the firm is the Flying Arrow." Importing from Birmingham England. At the same time the term "Flying Arrow" is popularised world wide. 1899 FEBRUARY Mr. J Mullins of Pirie Street Perth announces he is also an agent for the "Flying Arrow". 1899 MAY Diamond Cycle and Tyre Works Hay Street Perth, announce "The success of H. Millington in the Eight Hours wheel race, at the Boulder meeting … is the third wheel race he has won on his Arrow Cycle. These machines are built by Messrs. Burly and Endean, and can be seen at their showrooms"
1899 NOVEMBER Arrow Cycle Works of Murray Street Perth announce "Arrows Score Again. 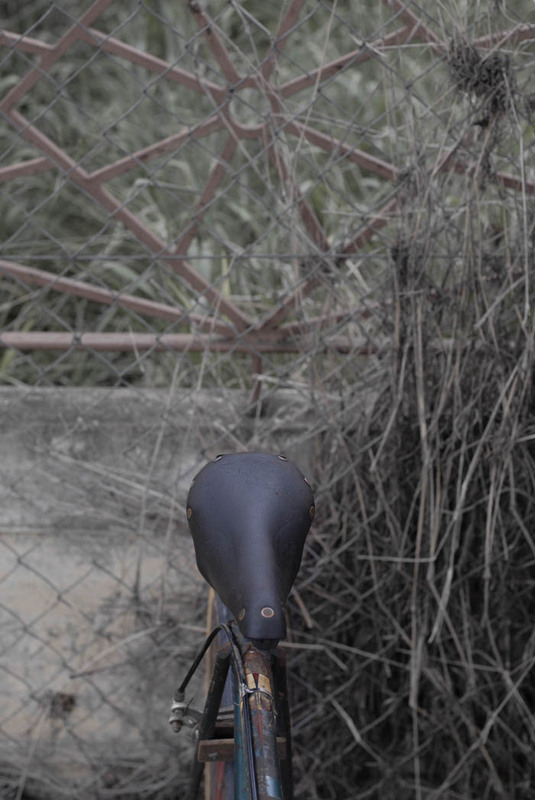 The first bicycle manufactured in the Colony. Beverley-Perth road race 116 miles. Burvill first! Williams, fourth! Only two Arrows competing and both placed. Write for illustrated catalogues"
1930 George Biddle partners up with Bob Shaw and forms Biddle and Shaw Cycle Agents, Stanley Street South Brisbane. Supplying Arrow Cycles and sometimes trading as Arrow Cycle Works. Late 1940's Trading as Flying Arrow Cycle Co 134 Rokeby Road Subiaco. Bringing back the 1899 "Flying Arrow" name and perhaps borrowing it from a company long gone. 1950's Arrow Cycle Works still trading in South Brisbane. 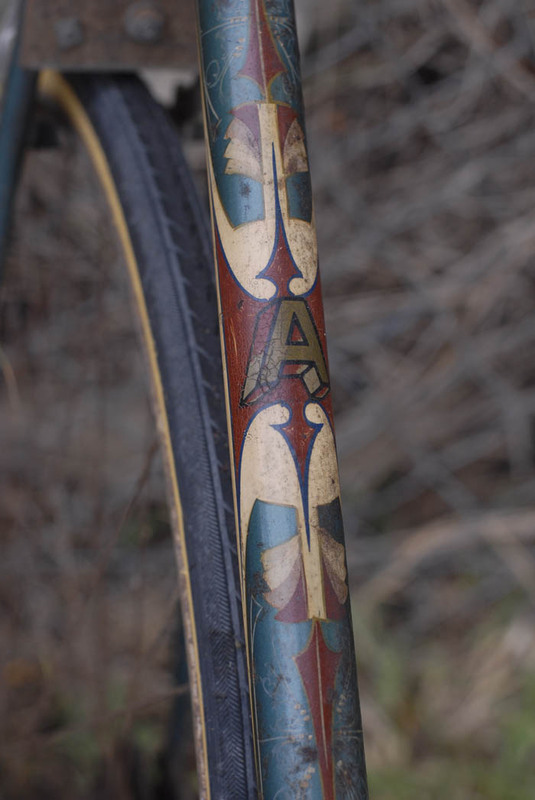 All images by Robert Cobcroft, Picture of Kevin Fallon Courtesy of Ms. Anne Broadhurst and Michael Glancy With thanks to Michael Glancy of Brisbane Vintage Bicycles for information and a fun morning out shooting the arrow.